Your credit report contains information about your residence, how you pay your bills, whether you’ve been sued or arrested, or if you have filed for bankruptcy. It is used by creditors, insurers, employers, and other businesses to determine whether you are eligible for credit, insurance, loans, employment, or renting/buying a home or car. You must provide your name, address, Social Security number, and date of birth. Each organization may ask you security questions in addition to identifying information to make sure that your credit report stays safe. If you requested your credit report online, then you can access it immediately. If you called or ordered your report through the mail, then your report will be mailed to you within 15 days. Regardless of the method you used to request your report, be mindful that it may take longer to receive your report in some cases. An additional copy from each credit bureau is available to residents of Maryland. 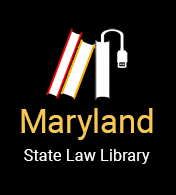 Instructions to obtain the additional copy are available from Maryland's Office of the Attorney General. You may also be eligible to request a free credit report if a company takes an adverse action against you, like denying an application for credit. You must request this report within 60 days of the adverse action to receive a free report. You may receive one free report a year if you are on welfare, unemployed and plan to look for a job within 60 days, or if your report is inaccurate because of identity theft. Instructions for obtaining a free credit report in these circumstances is also available from the Attorney General. Otherwise you must pay for requesting more than one credit report within one year. To buy a copy of your credit report, contact the individual credit report companies. Once you receive your credit report, examine it for any errors. The credit reporting company and the information provider are responsible for correcting any errors under the Fair Credit Reporting Act. If you notice any errors on your credit report, contact the credit reporting company and the information provider. Tell the credit reporting company in writing that you believe information on your credit report is wrong. Include copies (NOT originals) of documents that support your position. Provide your complete name and address, then clearly identify each item on the report that you dispute, state the facts and why you dispute that item. Request that the item be removed or corrected. You may also want to include a copy of the report with the items in question circled. Send the request via mail with a “return receipt request” so that you can document that the credit reporting company received it. Keep copies of the letter that you mailed and everything you enclosed. The credit reporting company must investigate the items in question, usually within 30 days, unless they find the dispute frivolous. They must also forward the information to the organization that provided the data, which must also investigate and report back to the credit reporting company. If the disputed information is found to be inaccurate, then the organization must notify all three credit reporting companies so your file can be corrected. The credit reporting company must give you the results in writing and a free copy of your credit report if the investigation results in a change. This does not count as your normal annual free report. If you ask, the credit reporting company must send notice of corrections to anyone who received your report in the last six months, and in the last two years for any report used for employment purposes. If the investigation doesn’t resolve the dispute, you can ask that a statement of the dispute be included in your file. You can also ask the credit reporting company to send your statement to anyone who received your report recently (there is a fee for this service). Tell the information provider (the person, company, or organization that provides information about you to a credit reporting company) in writing that you dispute an item on your credit report. Include documentation that supports your position. If the provider listed an address on the credit report, use that; otherwise, contact the provider and request an accurate address to send your letter. If they do not provide it, you can send it to any business address of that provider. If it continues to be reported, the information provider must let the credit reporting company know about your dispute. If you are correct about the disputed item, the information provider must let the credit reporting company know to update or delete the item. This is a sample letter that can be used to dispute information on your credit report to a credit reporting company or to an information provider. Your credit file may not reflect all of your open accounts. Some types of accounts that may not show up on credit reports include credit union accounts, gasoline credit cards, travel, entertainment, and local retailers. Accurate negative information can only be removed from your file after seven years, and bankruptcy information can be removed after ten years, which generally runs from the date that the event took place, or date of last payment. Unpaid judgments can stay on your record for seven years or until the statute of limitations runs out (whichever is longer). Accounts in delinquency may be reported for up to seven years plus 180 days from the time of delinquency. There is no time limit on reporting criminal convictions. If you apply for a job which pays more than $75,000 a year or more than $150,000 of credit or life insurance, any adverse information may be reported beyond the usual time limits. For more information about credit reporting and identifying and correcting mistakes on your credit report, see the Federal Trade Commission (FTC)’s packet How to Dispute Credit Errors, located on their website. The Fair Credit Reporting Act, 15 U.S.C. § 1681 (“FCRA”) is U.S. Federal Government legislation enacted to promote the accuracy, fairness, and privacy of consumer information contained in the files of consumer reporting agencies.